Every reader has a story inside them. Laura Oliver has been teaching aspiring writers how to plumb emotional contradictions for insight for more than a decade in workshops and university classes. Now she has written the book her students have been asking her for, a book that aspiring writers of every genre can use to guide, coach, and encourage them on their journey. 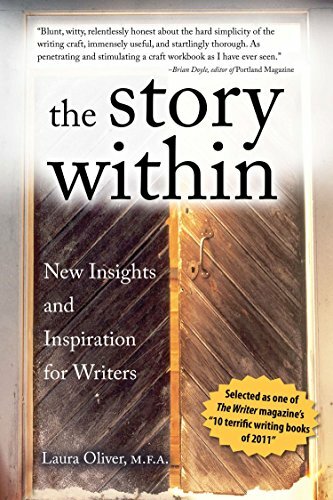 The Story Within employs the compelling art of memoir to illuminate craft and touches on nuanced subjects only a teacher who is herself actively writing knows to address. Each chapter offers excerpts from Laura's own stories, as well as those of students and published authors and then provides fresh advice and clear instruction on the subject of writing. Laura Oliver, M.F.A., teaches fiction and essay writing at the University of Maryland and at St. John's College in Annapolis, MD. Her personal essays have been published in national magazines and newspapers, including Country Living Magazine and The Washington Post, and her fiction has appeared in literary journals such as Glimmer Train.